Bike riding is the easiest way of transport. Also, undoubtedly, just the mere sound of a good bike’s engine gives that adrenaline rush like nothing else. But do you know how it affects your spine? 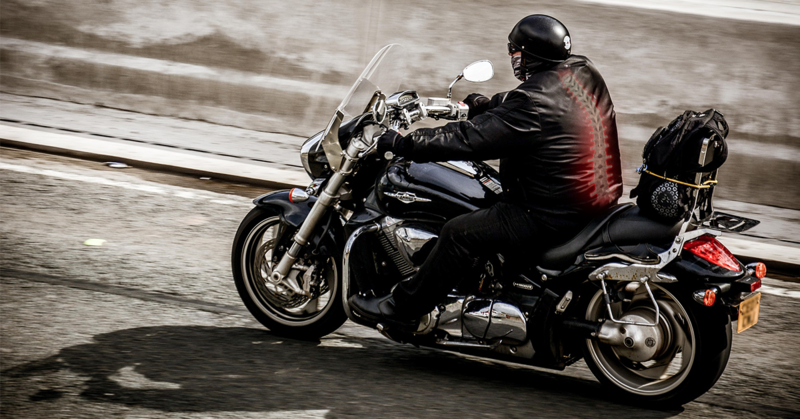 Prolonged sitting on a motorbike can be very hazardous to the spine and its associated structures (1). Back problems in bike riders beat the numbers of car drivers facing similar concerns due to lack of back support in bikes. Back rest provides a comfortable sitting position. To balance the stress equilibrium mal-positioning in bike riders, the spine does some compensatory biomechanical changes and but become more prone to develop various spinal problems like increased lumbar lordosis, kyphosis, slouch postures or tilted shoulders in the process. However, the condition that has worst effects is scoliosis (2) (sideward bending/curvature of the spine). Back strengthening – There are numerous ways of strengthening the back. Best and easiest way is to lie down on your stomach with arms at the sides and lifting both the legs straight up in the air. Spine extension – Lie down on your stomach with arms by the sides and palms down. Raise your head and chest up from the floor. Hold this position and relax. Pelvis tilted push-ups – Be like a straight line from knees to shoulders and do push-ups. Side stretch – Stand with one arm overhead and one arm at side. Bend to the side opposite to raised arm. Try to maintain a good posture.